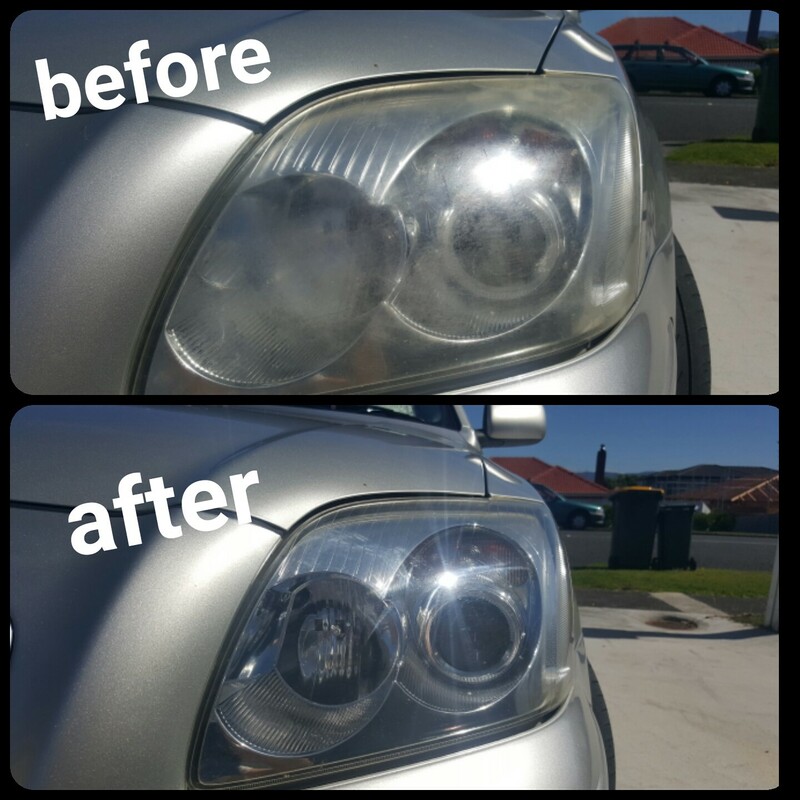 We provide an effective and affordable headlight restoration service that comes to you anywhere in Auckland, leaving your headlight lens crystal clear again, and saving you hundreds of dollars on replacement light units. Faded headlights, yellow headlights, oxidised headlights and foggy headlights are a common problem these days, and many WOF's are being failed because of them. We use slightly different techniques depending on the condition of the headlights we're working on. Because of the varying amount of work required, we charge at 3 different rates. Depending on your needs & budget, we offer three solutions.. Although we can’t guarantee a permanent solution (heck – even the headlights on brand new cars eventually fall victim to oxidisation), our headlight repair system with UV sealant will easily provide 1 year's worth of protection before any discolouration might begin to creep back in. In many cases it will last longer. What causes foggy headlights in the first place? Do you remember when headlights on cars used to be made of glass? Well, that was many years ago, and for a long time since, car manufacturers have been using hard plastic (polycarbonate) instead. Over the outside surface area of the plastic is a protective coating to prevent the porous surface from slowly corroding. Over time harsh road elements, detergents/chemicals, and ultra violet rays from the sun break down the protective layer which then allows the oxidisation process to kick in. Rotorua with its eggy-sandwich sulpur in the air, is notorious for corroding headlights at a rapid pace. Did you know cloudy headlights can be unsafe on New Zealand roads? More and more WOF’s are not being passed due to foggy headlights restricting the amount of light that can be passed through the lens. Think about it.. imagine wearing sunglasses or spectacles that have fogged up on a chilly winter morning. Think how much of your vision is restricted. Well it’s the same with your headlights, they can’t see very clearly at all while in that state! Why bother with headlight restoration? To replace the light unit on a mid-range modern car, you’d be looking at paying over $1000 each, and on more expensive vehicles much more! We provide a cost-effective solution that will not only improve the visual appearance of your car, but will keep your vehicle roadworthy and safe to operate at nights. 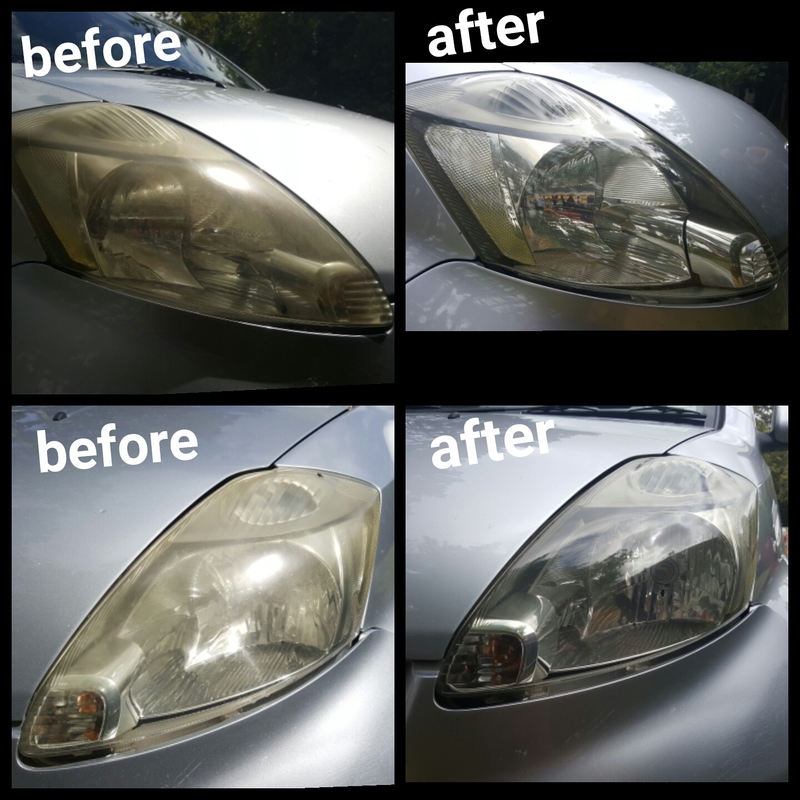 If you’re looking to sell your vehicle, we believe headlight restoration is a must! Yellow headlights are unsightly and make a vehicle look older than what it might be, which will likely have a negative impact on the ultimate sale price.